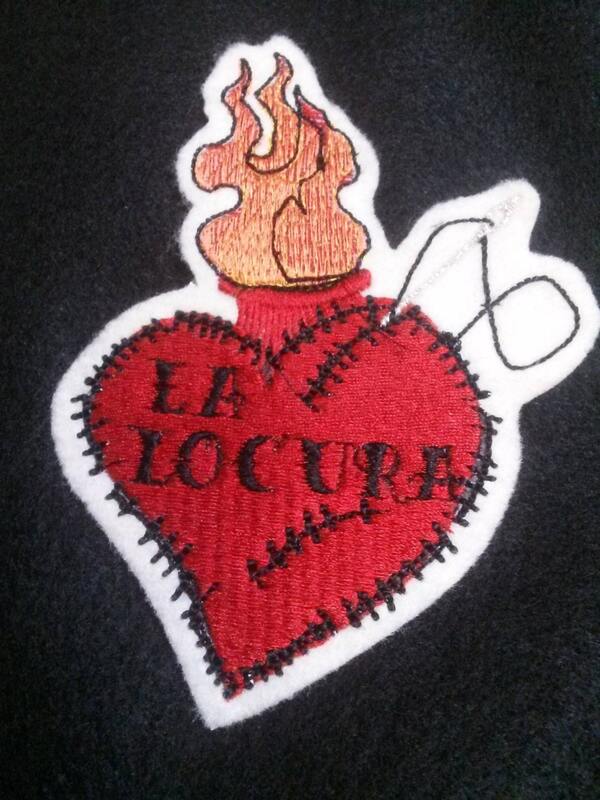 Embroidered Tattoo style vintage Heart patch. Your patch will be embroidered on cream felt as shown. Heart is perfect size for a tote bag, or jacket front. NOTE: you can change "la locura" to another word, 6 letters max. Leave instructions in the note to seller. Convo me for larger quantities. Great for DIY Valentine gift.